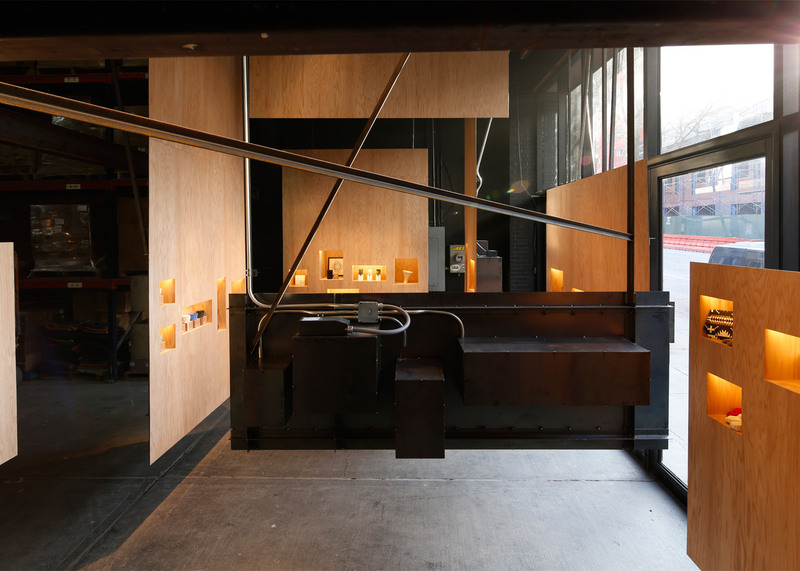 This small showroom by Taylor and Miller for a Brooklyn-based candle and fragrance company is defined by suspended walls made of wood and steel (+ slideshow). 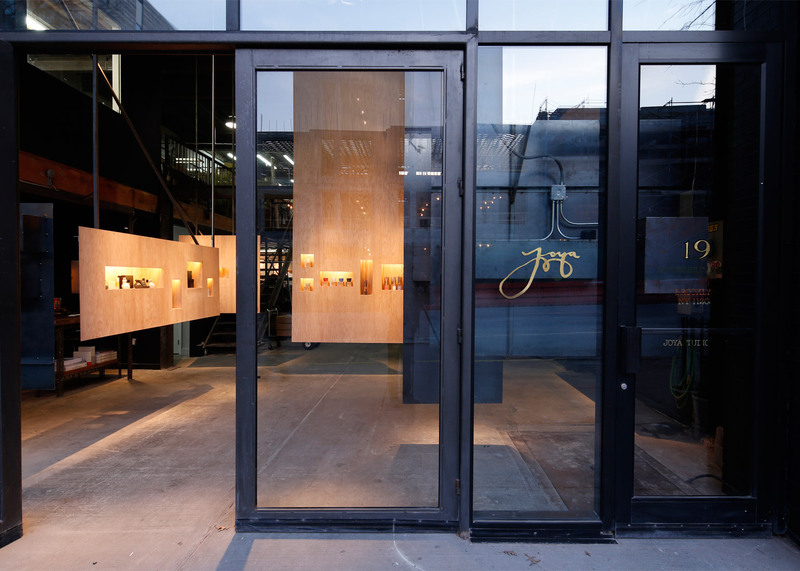 The permanent retail space was created for Joya Studios, a candle and fragrance company established in 2006. 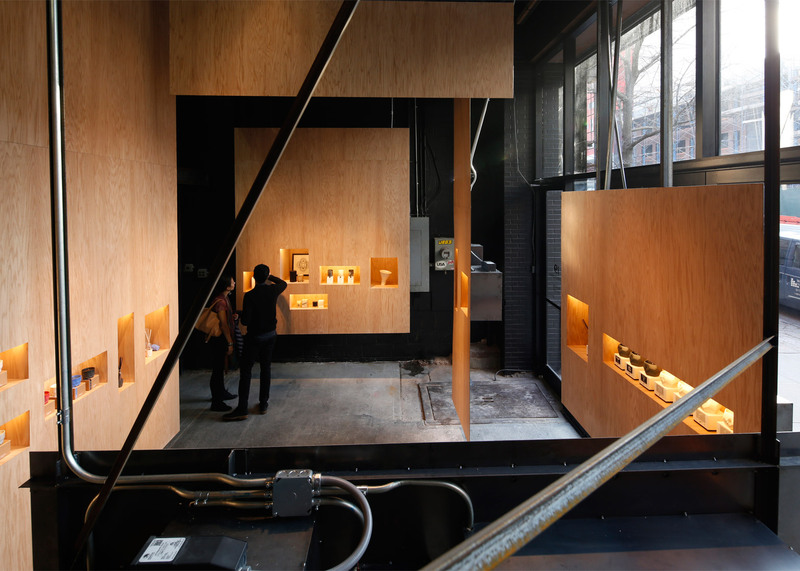 Taylor and Miller Architecture and Design was tasked with creating a sales area within the manufacturer's existing production facility and warehouse in Brooklyn. 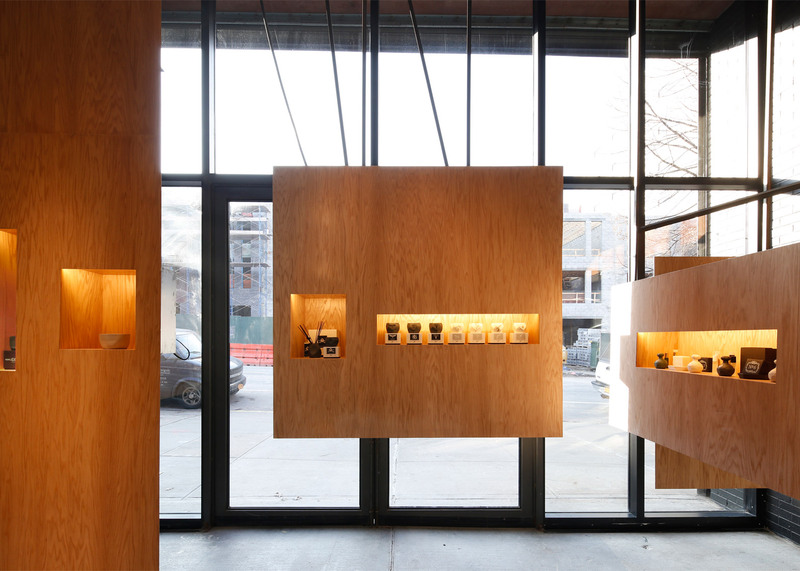 The architects used a storefront area within the industrial space to create the shop, suspending display walls from the ceiling using metal rods. 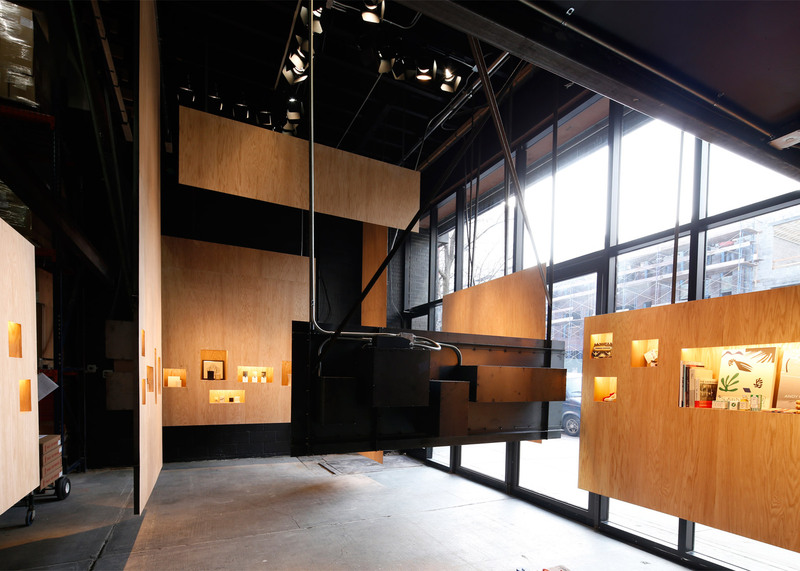 "We created a retail environment that is literally and figuratively suspended between the formality, cleanliness and elegance of a retail space and the informality and grit of a highly active factory," said the architecture firm, which is based in New York. The units are made of steel and contain small nooks for displaying unlit candles, incense, perfume and related merchandise. 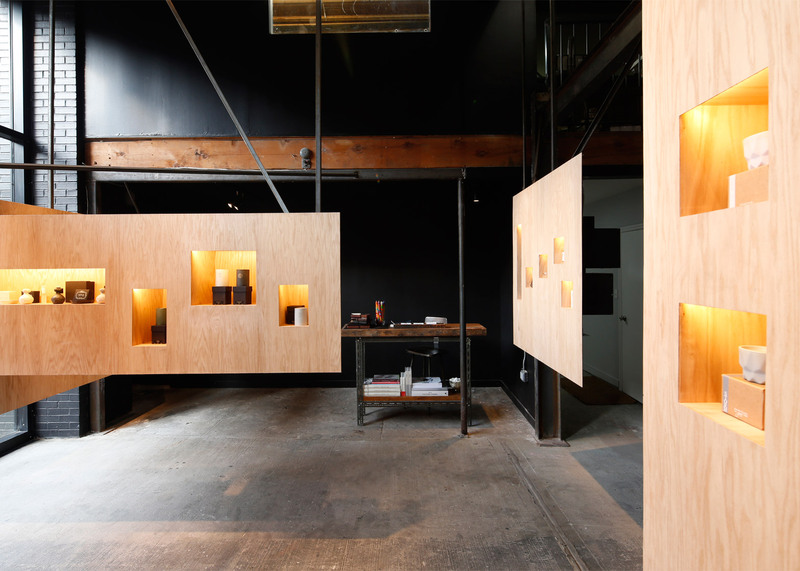 Each nook is illuminated with a linear LED. The architects sheathed the front of the walls with an oak veneer and left the backsides exposed. Directly behind the retail zone is the factory and warehouse. 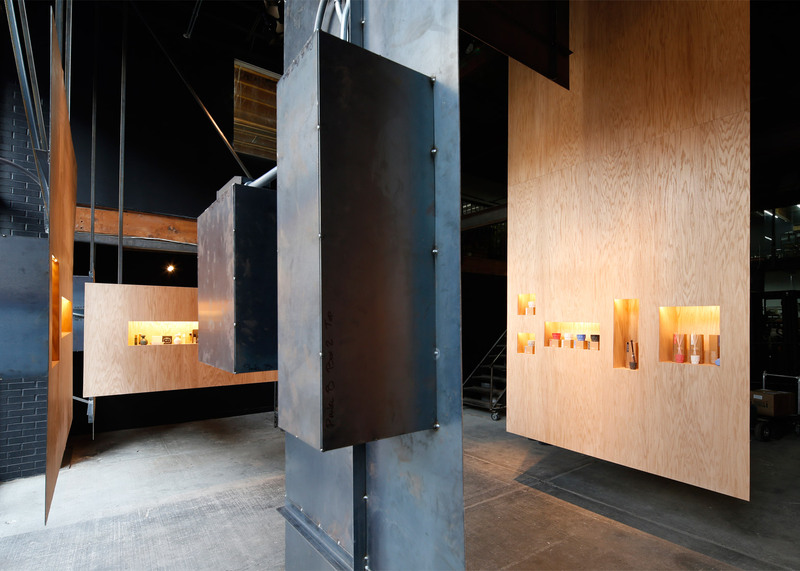 "The space of consumption and the space of production is separated by the thinnest of architectural elements: a single sheet of veneer and a single sheet of steel," the firm said. 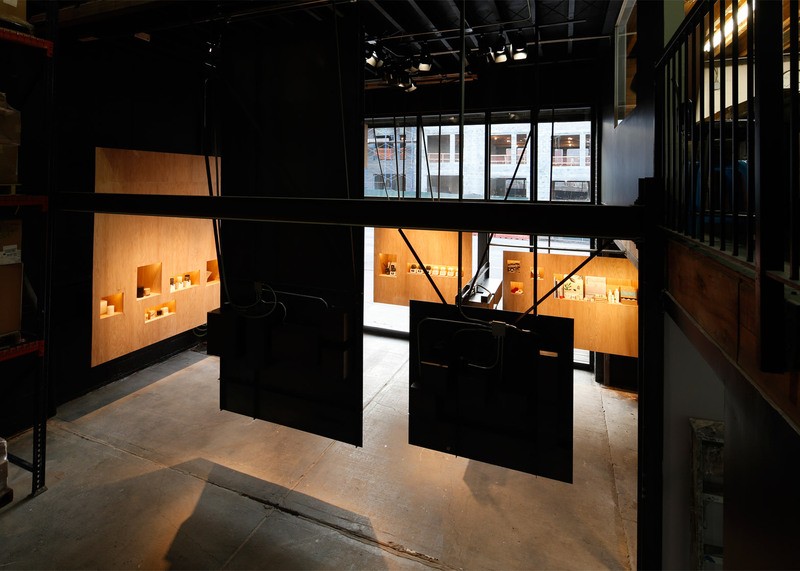 "This retail experience is meant to hover between the context of consumption and the context of production, two environments that are too often ripped apart for the sake of protecting the sanctity of the antiseptic and heavily branded retail store," it added. 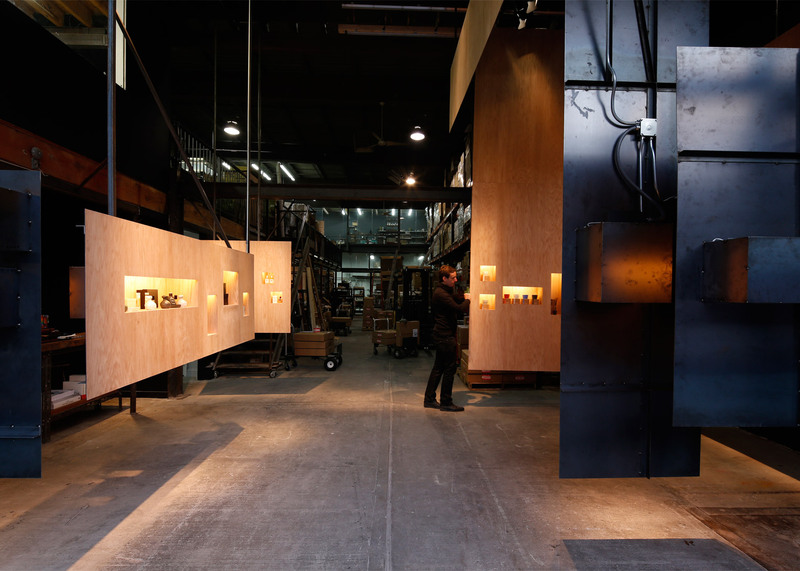 The design is intended to elicit metaphorical connection's to Joya's fabrication process, which is "rooted in the relationship between cast and mould". The side of the mould that faces outward is rough and unfinished, while the interior is highly refined, said the firm. 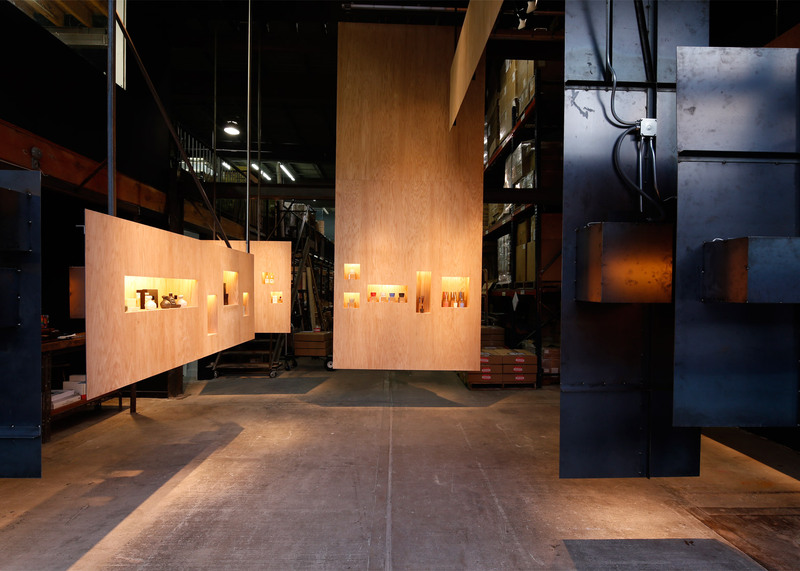 Similarly, the side of the display units that faces the factory is left raw and exposed, whereas the side facing customers is more polished. 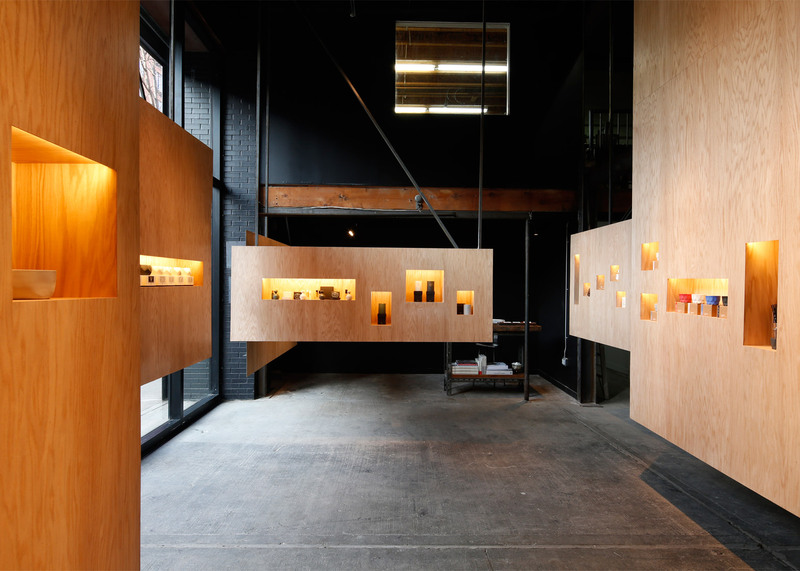 Founded in 2002, Taylor and Miller Architecture and Design is a multidisciplinary studio focused on architecture, lighting design and fabrication. 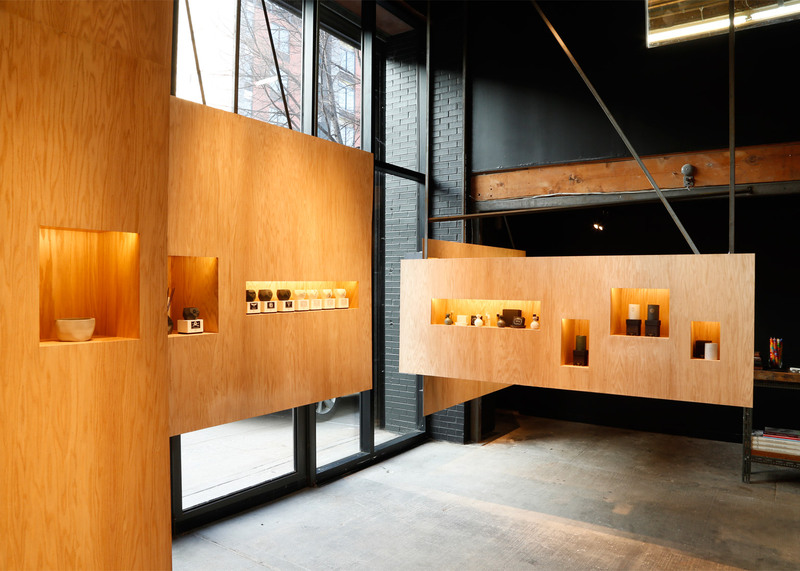 Other recent retail projects in the US include a minimalist showroom for a Brooklyn chocolatier and an eyewear store in San Francisco that pairs plywood with white surfaces. Photography is by Studio Dubuisson.